From the warped, creative mind of Stephen King comes a story of the oldest of battles, good versus evil. The master of the weird provided eight books in The Dark Tower series for Nikolaj Arcel, the director, to mold and shape for our viewing pleasure. Jake Chambers (Tom Taylor), a seemingly typical kid, awakes from slumber with his walls and the ground shaking. Natural disaster? No, because it happens far too often. Visions plague Jake’s and the earthquakes are the result, but why? What is it about Jake? He will journey far (and I mean FAR) to discover the truth. I am not sure if it was a consequence of the acting or editing, but the timing was just off which interrupted the flow of the story quite a bit. A few times, the scene seemed to build up to something, but the audience was left without a payoff. Thankfully, there were enough cool shots (especially the shot through a gun scope) and special effects (gun reload, that’s all I’m saying) to reel the audience back. This story of the Gunslinger (Idris Elba), the Man in Black (Matthew McConaughey), and children with special gifts is very interesting. I hope they will produce films for the other books. I know, I know Hollywood, most studios in fact; rarely put a film together that honors the book is based upon. I have not read the books, but a friend informed me some that The Dark Tower is completely following by The Dark Tower: The Gunslinger’s structure. All that being said, the film is curious and engaging. Taylor is unknown to me, but he still needs a bit of work. Again, it could have also been the editing, but Taylor’s lines were rushed. Time was not given for reaction or response before continuing on. It was annoying. I first saw Elba in The Gospel and Daddy’s Little Girls. He has shown great strength. Later, I enjoyed his physical strength as well in films like the Marvel Thor series, Prometheus, and Pacific Rim. In The Dark Tower, even his performance was marred with timing issues and dead air. Quirky McConaughey has shown the complete spectrum of acting over and over again. From my favorite A Time to Kill to Edtv, U-571, Reign of Fire, Magic Mike, Interstellar, etc., McConaughey brought peculiar and wonderful roles to life. As the ominous villain the Man in Black, his efforts half work and half fall flat. 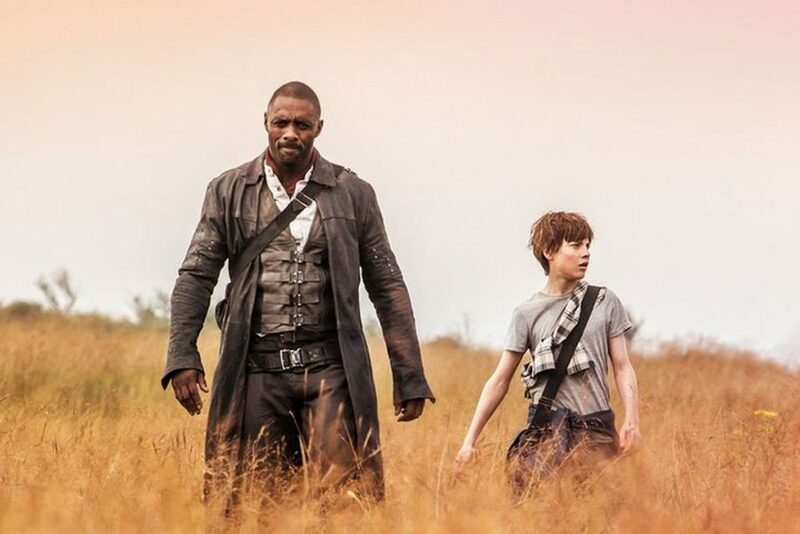 The Dark Tower presents the beginning to fascinating story. Although it has its share of cinematic issues, it was enjoyable. An observation: Is there a reason why the wonder kid’s name has the initials are J.C. in a world needing salvation? At an hour and a half duration, The Dark Tower looks like a blur movie, but when you’re watching, time does not exist. This entry was posted on Saturday, August 5th, 2017 at 6:44 pm	and is filed under Film, News. You can follow any responses to this entry through the RSS 2.0 feed. You can skip to the end and leave a response. Pinging is currently not allowed. « Favorite Movie Scene of the Day #17!